Not to be confused with Georgia Air National Guard. The Georgian Air Force (Georgian: საქართველოს საჰაერო ძალები, sak’art’velos sahaero dzalebi) was an air arm of the Georgian Armed Forces from its establishment in 1992 until 2010, when it was incorporated into the Georgian Land Forces. As of September 2009, the Georgian Air Force had 2,971 military and civilian personnel. 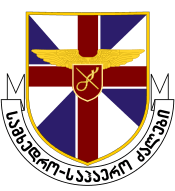 The Georgian Air Force and Air Defense Division was established on January 1, 1992. On August 18, 1998, the two divisions were unified in a joint command structure and renamed the Georgian Air Force. The first combat flight was conducted by Izani Tsertsvadze and Valeri Nakopia on September 19, 1992, during the separatist war in Abkhazia. This date was later designated as the Georgian Air Force Day. Relative to the Georgian ground forces, the air force was comparatively underfunded following Georgian independence. During the August 2008 war with Russia, Georgian aircraft were initially active, but were soon grounded by Russian air superiority. The Russians claimed at least 3 Su-25 and 2 L-29 destroyed. 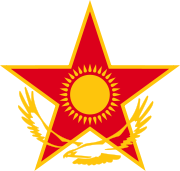 The Georgian Ministry of Defense reported 5 air force personnel were killed in action. In 2010, the Georgian Air Force was reorganized. 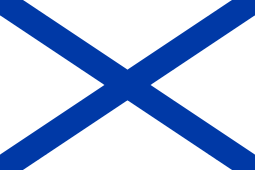 It was abolished as a separate branch and incorporated into the Georgian Land Forces as Air and Air Defense brigades. In 2012 the Georgian military with approval from government decided to reestablish the air force as its own arm in the military of Georgia. It will undergo a massive transformation and modernisation process, getting rid of almost its entire Soviet helicopter park to replace it with US and French aircraft. It was also announced by the ministry of defense that six Su-25 aircraft would be sold at an unknown date to add to the finances. 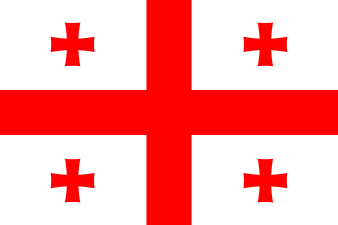 As a result of the 2014 Wales summit, Georgia was granted a NATO military assistance package which includes the support in acquisition of military equipment from alliance members and partners practically lifting the unofficial arms ban on Georgia. Participation in collective and multinational exercises. The two major airfields are located near Tbilisi at Alekseevka and Marneuli. 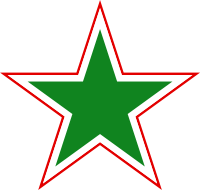 Wikimedia Commons has media related to Air force of Georgia. 1 2 3 Defence Today 27: 1. September 2009. Accessed February 10, 2012. ↑ Georgian Air Force. The Global Security. Accessed February 10, 2012. ↑ List of Casualties among the Georgian Military Servicemen. Ministry of Defense of Georgia. Accessed on February 10, 2012. 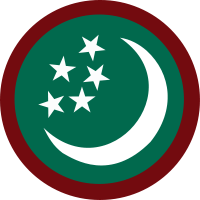 ↑ Structure of Land Forces. Ministry of Defense of Georgia. Accessed on February 10, 2012. ↑ World Air Forces 2016 (PDF). Flightglobal International. December 2015. p. 19. Retrieved 8 April 2016.